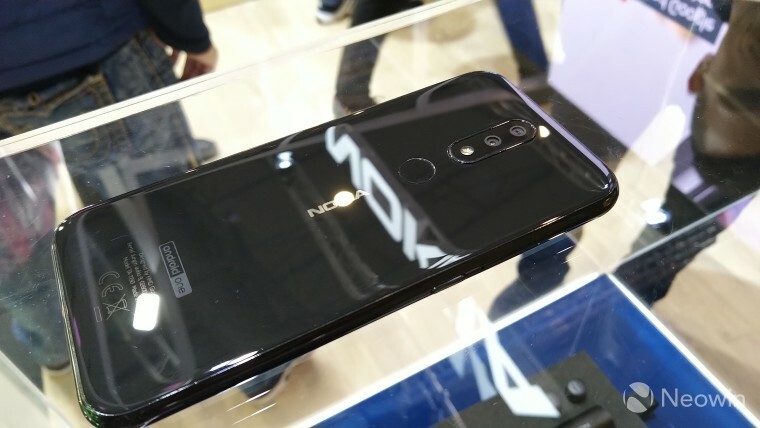 The Nokia family got a few new members at this year's Mobile World Congress, and while we've already shared our thoughts on the impressive Nokia 9 PureView, we also went hands-on with the more affordable offerings from HMD Global. These are the Nokia 1 Plus, Nokia 3.2, and Nokia 4.2, and here's what we thought of them. Starting off at the lowest end, we have the Nokia 1 Plus, the latest member of the lineup to be powered by the Go edition of Android. Running the lightweight version of Android means we're looking at the same 1GB of RAM and 8GB of storage, though there's a 16GB variant as well. The chipset has seen a slight improvement, too, moving from the MediaTek MT6737 to the MT6739. The big change from the Nokia 1 is the display size, which is now 5.45 inches instead of the 4.5-inch panel on the original, and there's also a bigger 2,500 mAh battery. 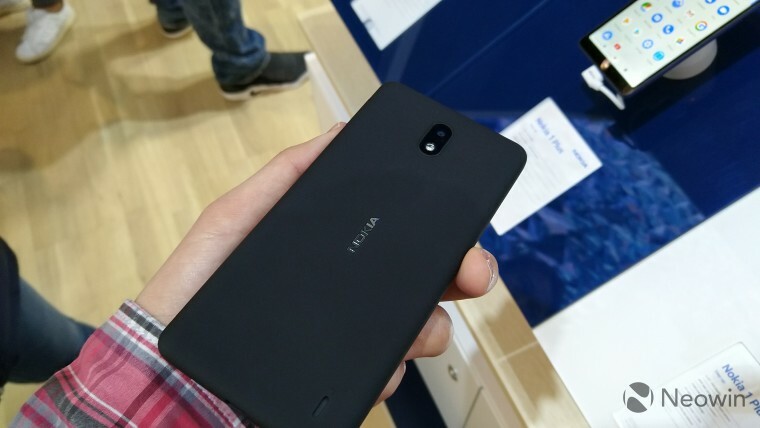 What stands out the most about this phone from the rest of the Nokia lineup is the cover plate on the back. Usually, Nokia phones have had soft-touch backs or glass covers, but the Nokia 1 Plus has a very "grippy" texture that makes it much easier to hold on to, and I was surprised at how it felt in my hand. 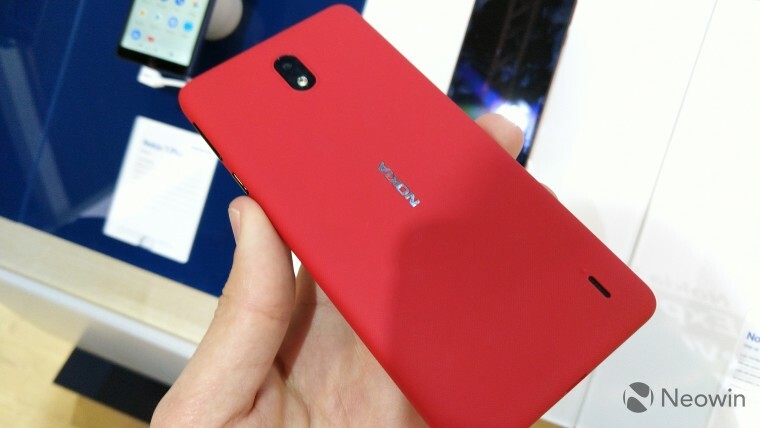 There's also a new black cover model in addition to the red and blue ones, and the red one has thankfully been toned down so it's a little less likely to burn your eyes than the original Nokia 1. 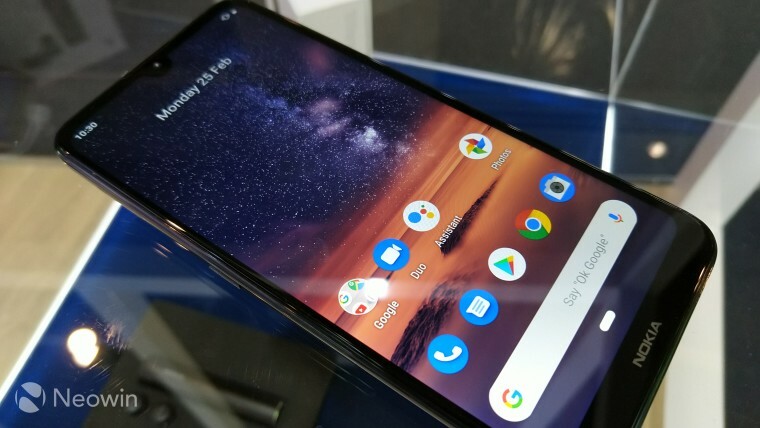 The Nokia 3.2 is the third numerical iteration of the Nokia 3 line (there was also the 3.1 Plus), and as the announcement video made clear, there's a big focus on media consumption. The display is not only big, at 6.26 inches, but it seems to me to have slightly better colors than even the Nokia 4.2, which we'll talk about later. 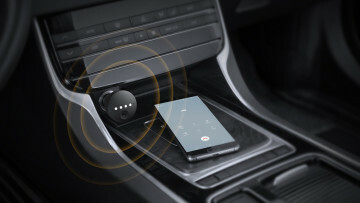 The Nokia 3.2 has a button dedicated to summoning Google Assistant, and it also supports some special actions for double-pressing and holding the button, though they don't seem to be customizable. What I found pretty interesting is that the power button doubles as a notification LED, with a cutout along the middle to let you know when you've got something new. 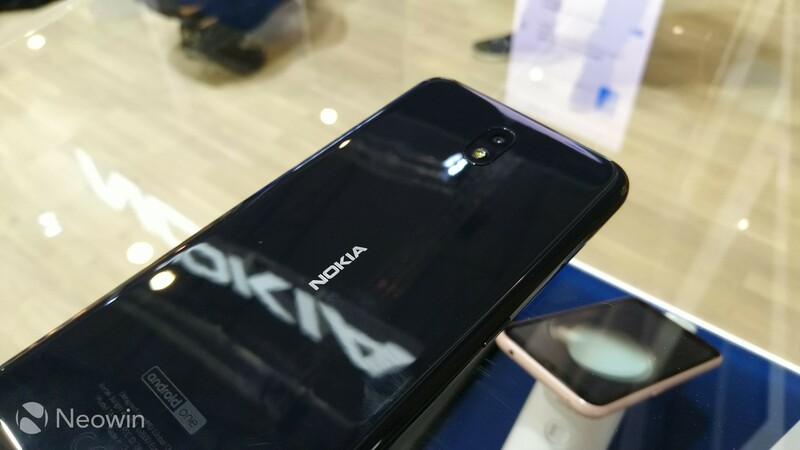 The Nokia 3.2 doesn't have a fingerprint reader, just like its predecessors, but HMD has added facial recognition for unlocking the phone. Technically, this was already possible through Android's Smart Lock feature, but now it's its own thing and it's easier to get to. In my initial experience though, I found it took a while to set up and even just to recognize me after it was working. Like every other Nokia phone, it ships with Android Pie, but the camera app seems to have received a small update with some UI refinements compared to what's on current phones, or the Nokia 1 Plus. The last entry is the weirdly named Nokia 4.2, which is actually the first Nokia 4 model HMD has released. Questionable naming aside, the 4.2 is a small step up from the weaker brother. 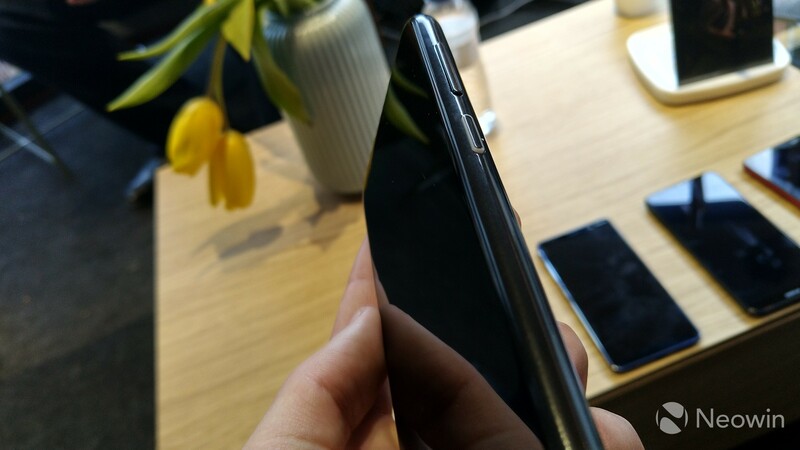 It's got a slightly better chipset, so it performs a little better, but as I said above, the screen actually seemed just a little bit worse on the 4.2. Much like the 3.2, there's a Google Assistant button here, and also like the 3.2, the power button serves as a notification LED, except here the light comes through around the edges of the button instead of the center. What's most intriguing about this to me is that neither of these features has been in any other Nokia phone from HMD. Choosing two mid-range devices to debut them is an interesting choice. The Nokia 4.2 takes a couple of steps up from the 3.2 in other ways, such as the inclusion of a fingerprint reader. It also includes the same face detection feature as the bigger phone, but it actually seemed to perform a lot better on the 4.2, both for setting up and actual unlocking. It's also got dual cameras on the back. None of these devices is available for purchase yet, but when they become available, the Nokia 1 Plus will start at $99, the 3.2 will start at $139, and the 4.2 will start at $169.